In the first round of the BCIAA baseball playoffs, No.3 seed Oley Valley took on No.6 seed Gov. Mifflin at Kutztown Park on Thursday evening. The Lynx, who went undefeated in Berks III, turned to their ace pitcher Nick Distasio, in hopes of earning their 2nd consecutive berth in the county semifinals. 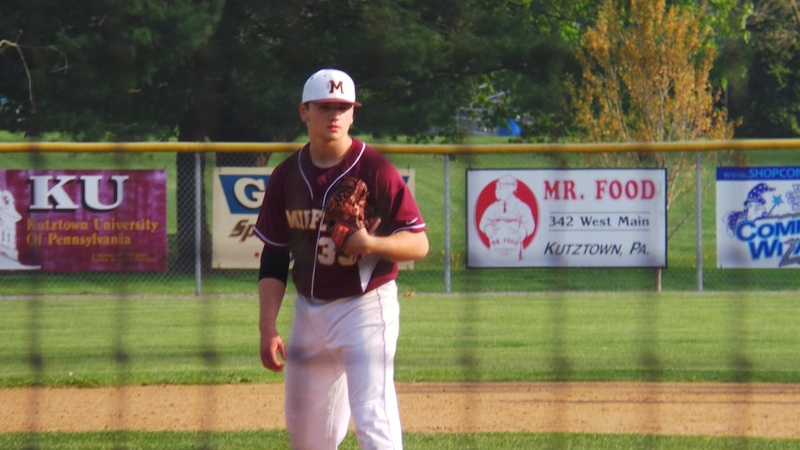 Mifflin opted to go with junior John Catchmark on the mound, as they sought to reach the semifinals for the first time in two years. The Mustangs jumped out to a 1-0 lead in the top of the first as DH Tanner DeLucia singled home Zach Sczepkowski. The Lynx would answer back in the home half of the first as Craig Eidle double home Pete Vaccaro, who had tripled just before. After one inning, the teams were tied 1-1. The score would remain 1-1, until the Mustangs put up a 5 spot in the top of the 4th. Mifflin was able to get 5 runs on just a single hit in the inning. The errors and missed opportunities for the Lynx defensively, would ultimately do them in, as they found themselves trailing 6-1 midway through the 4th inning. The Lynx would get one run back bottom of the fourth, as Craig Eidle scored on a wild pitch, cutting the lead to 6-2. Oley Valley would get no closer than the 6-2 margin, as the Mustangs added two more insurance runs in the top of the 7th on their way to an 8-2 victory. The Mustangs got their offensive production out of Tanner DeLucia and Doug McFarland, who each had 2 hits, and RBI, and 2 runs scored. Pitcher John Catchmark earned the victory, going the distance and striking out 7. Governor Mifflin will now face Berks Catholic on Monday evening at First Energy Stadium for the right to appear in the championship game. Oley Valley’s Nick Distasio, with a hit in the bottom of the 7th inning, tied his dad’s school record with 120 career hits. Distasio will have a chance to break the record when the Lynx begin play in the District 3-AAA playoffs.